Aimoon & Offshore Wind join forces to deliver an absolutely jaw dropping double-A sided floor controller entitled ‘Upgrade / Alpha’! Upgrade opens the release in superb fashion with glossy percussive rhythms and glittering top synth elements gliding perfectly against the white-hot bass lines and powerful kick drums to ensure maximum floor damage. On the break, the track is skyrocketed into overdrive with the main melody sequence and dynamite drop in — absolutely HUGE! Alpha continues the release in perfect style with more clever percussion and floor rocking kick drums flowing against the grooving bass lines and sizzling top melodies. Atmospherics are once again sent through the roof as the hook lines unfurl, building the pressure to breaking point and taking full grip for the breath taking drop resulting in absolute dancefloor carnage! An essential double slice of main room magic from Aimoon & Offshore Wind! New Aimoon’s single, second work with Eva Kade, called «I’m Out For You» already out exclusively at beatport. Coming soon in all other stores July 9th 2012! Harmonic Breeze welcomes yet another thrilling talent coming from the heart of Russia. Sasha Golyshev, better known as the artist Aimoon comes knocking on our door with the top class ‘I’m Out For You’ featuring the blissful vocals of Eva Kade. An energetic Progressive Trancer with the perfect mood to set things right for the Summer. On Remix duties we celebrate the debut of up and coming Danish producer Dennis Pedersen. The youngster grabbed our attention after quality outings on various labels who hereby delivered a fantastic alternative version where he injects more groove and ‘chunk’ into his rendition. Enjoy! After heavy support from After Dark Sessions, «Aimoon feat Eva Kade — Sweet Silence» is out to buy now! Use ? ?in youtube player to play next track, and ?? to return previous track. Aimoon presents his debut single on After Dark Music and what a single it is! Featuring the always angelic vocals from Eva Kade fused together with the always tech based groove flow from Aimoon this is a collab for DJ’s across the spectrum. From the moment you drop the needle, the groove from Aimoon is present and sets up the track perfectly for the first drop of the saw laden bass riffs. Hints of Eva Kade are hauntingly introduced leading up to the epic breakdown where the huge saw lead and the resonating chorus hook from Eva capture the atmosphere before the filtered build reaches its climax and smashes back down to the concrete dance floor where the euphoria has taken over. On the flip we have a remix from Offshore Wind. Keeping the drive of the original but taking us down a dirty road with this heads down thumper of a remix. A remix for those harder edged trance DJ’s. New banging remix by Aimoon out now! It’s remix of track called Illusion by Rave CHannel. 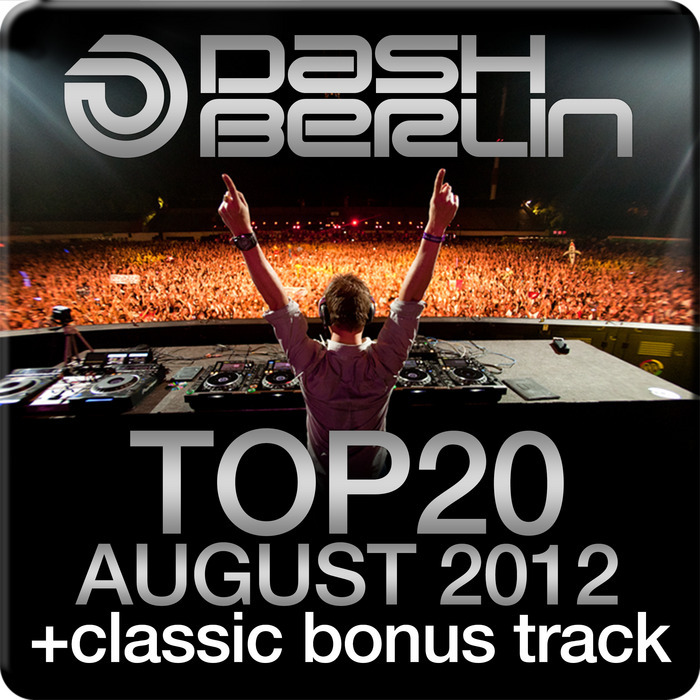 Released at Dash Berlin‘s label Aropa Records (Armada Music). Included Vocal and dub (instrumental) mixes by Aimoon. The Thrillseekers feat. Fisher — The Last Time (Aimoon Remix) now available in full version 320kbps for free for everyone! New single by Aimoon — Next Generation (incl. Respray & Original Mixes) featured in Rank 1, Andy Duguid, Steve Anderson, DJ Andrey Balkonsky and many more shows – out now! Grab your copy from iTunes or Beatport. At the fifth release we will bring back Quadrocore co-owner and our resident Alexander Golyshev (Aimoon). At this time Aimoon presents a respray for his past tune called «Next Generation». Original was produced in a 2010 and has been the most experimental trance track among all Aimoon productions, because tune have a whole triplets construction (Original will be at release as bonus). After start in a Respray you can hear breakdown with lush basses rising to fantastic climax and turn to main triplet part. Respray version mixed especially for djs and will be the most massive and modern than original. We choose it for a release at Quadrocore Recordings, because triplets is modern and good point, which has been realized in a «Brute» by Armin Van Buuren and Ferry Corsten. Featured in Paul van Dyk — Vonyc Sessions 273, Andy Moor — Moor Music 060, W&W — A State Of Sunday 055 (Mainstage 75), Andy Duguid‘s After Dark Sessions 028 (Track Of The Week) and 031, Andrea Mazza — Trance Evolution and many more … Aimoon Remix of Forever by Ruby & Tony — released on After Dark Music and out now in all mp3 digital stores! New single by Aimoon featured in Andy Duguid, Mark Sherry, Steve Anderson, DJ Anna Lee and many more shows – out now! Grab your copy from Beatport. Quadrocore Recordings is a new trance oriented lable, which purpose is searching and releasing most interesting and innovation trance & progressive tracks, to get them into hands of top djs all over the world. First of all we like introduce to you new single of Quadrocore co-owner and our resident Alexander Golyshev (Aimoon). He had released some great tunes, which were supported by top DJs, such as Armin Van Buuren, Above & Beyond and others, and now he presents his last work. This time he comes with hi-charged groovy bomb called Ultragreen, where in breakdown volume comes almost silent and then rises from deep chords up to totally big climax and continues with big groove drums and modern bass. It seems that all progressive trance fans will enjoy this tune. New EP by Aimoon supported by Armin van Buuren, Aly & Fila and many more — out now! Grab your copy from Beatport. Aimoon (Alexander Golyshev) was featured on Echelon for the first time in 2010 as a remixer. Later on in early 2011 he released the single “Above The Sky” in a collaboration project 2TrancY, with another remix by himself. His newest work is the Rainbow Rays / Light And Shade EP which packs a variety of sound together with remixes by Sunsvision and Offshore Wind. The original tracks are built on powerful progressive beats and distinct themes, topped with bright trance atmosphere and side melodies. The remixes are excellent, adding melodic depth and clubby twist in the release.